Springfield….As the legislature returned to action in Springfield on Tuesday, the first order of business to receive consideration was HR 59. The House Resolution is the first order of business because it establishes the parliamentary rules by which the Chamber will operate for the 101st General Assembly. 118th District State Representative Patrick Windhorst (R-Metropolis) believes the parliamentary procedures that govern the law-making process in the House give Speaker Mike Madigan far too much power. At the start of each new General Assembly, Speaker Madigan is known to require two critical votes from Democrat members; first, a vote to re-elect him Speaker of the House, which happened on January 9th, and then Madigan’s House Rules. Windhorst says he is disappointed that efforts made by Republicans to alter Madigan’s proposed House Rules would allow for more public input were ignored. 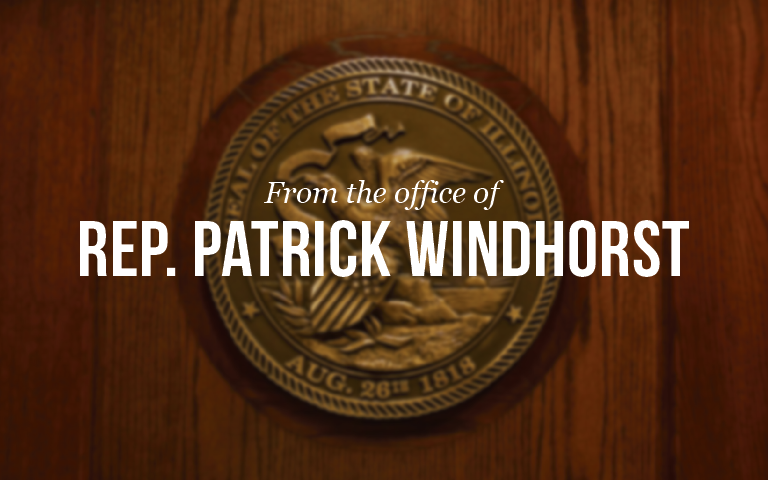 Windhorst says Illinois House Republicans introduced their own proposal, HR 62, to address some of the concerns that exist on issues of transparency and public access to amendments to legislation.